Notes: I followed Larisa’s modifications for this one (Rav link). 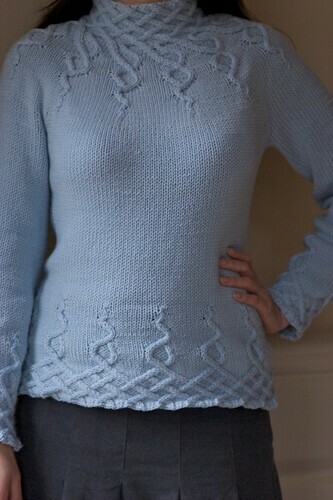 The waist was slightly altered to fit me better, and I knit the sleeves as she did. Since I followed the 37” size, I picked up just 1 extra stitch for the sleeve, for a total of 60. 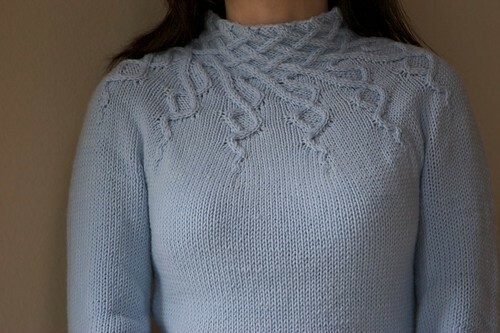 This matched the final stitch count needed for the sleeve, so I just knit straight till I reached the cables. Then, I followed the chart as if all the knit stitches were already filled in and disregarded the directions to make more stitches. 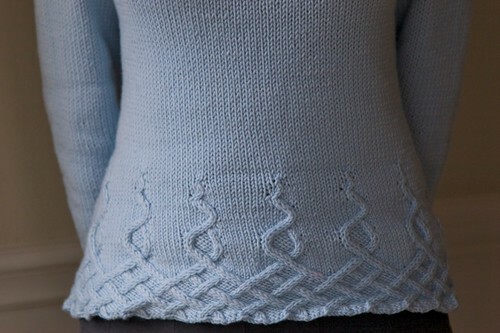 The sleeve cable was extended by a few extra rows to match the length of the bottom hem cable. 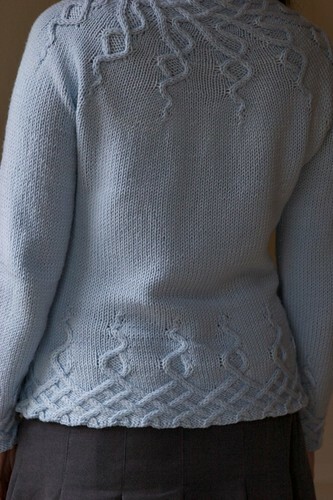 On the last row of the cable, I kept all the purl stitches in pattern and did not convert any of them to knit stitches the way they are on the hem.